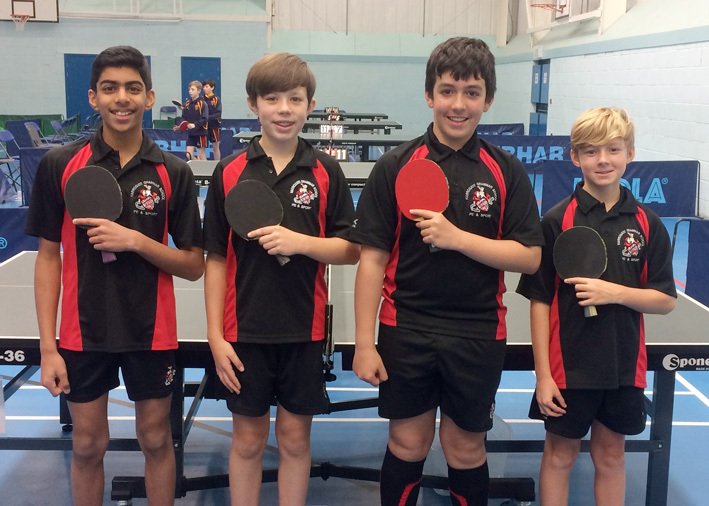 The U13 Boys Table Tennis team are through to the Regionals after two nail-biting competitions. 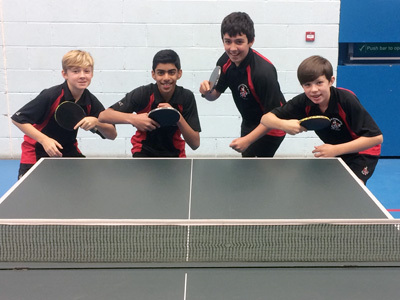 They were crowned champions in the first; the Harrogate Schools competition, which then took them through to the Zonal finals at Kirkby Stephen Grammar School in Cumbria. Competition was tough with each of the four boys playing two singles matches against two different players (8 matches in total). First losing to current National Champions, St Mary’s College, Hull, the boys realised competition was fierce. However, they rallied to draw with Kirkby Stephen Grammar School and went on to beat Kings School, Tynemouth. Overall the team were runners up and now go through to the Regional Finals held in Grantham in February. This is a first in the history of the Harrogate Grammar School.